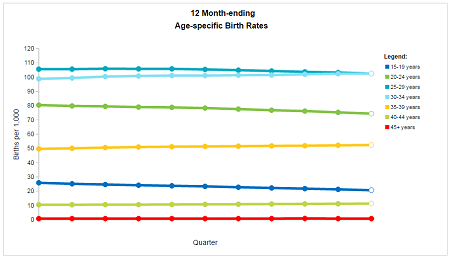 New Preliminary 2016 Data on Births and Deaths in U.S. The Vital Statistics Rapid Release program provides access to the timeliest vital statistics for public health surveillance, through 1) releases of Quarterly Provisional Estimates and 2) Special Reports based on a current flow of vital statistics data from state vital records offices. Using the provisional data, NCHS produces much more timely estimates of important health indicators for public health practitioners, researchers, and health policy-makers than would be possible using final annual data. You are currently browsing the archives for the Vital Statistics Rapid Release category.